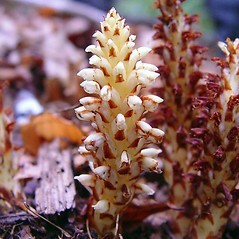 Conopholis americana (L.) Wallr. 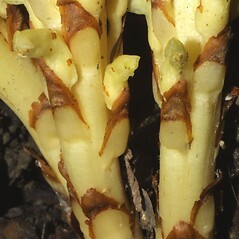 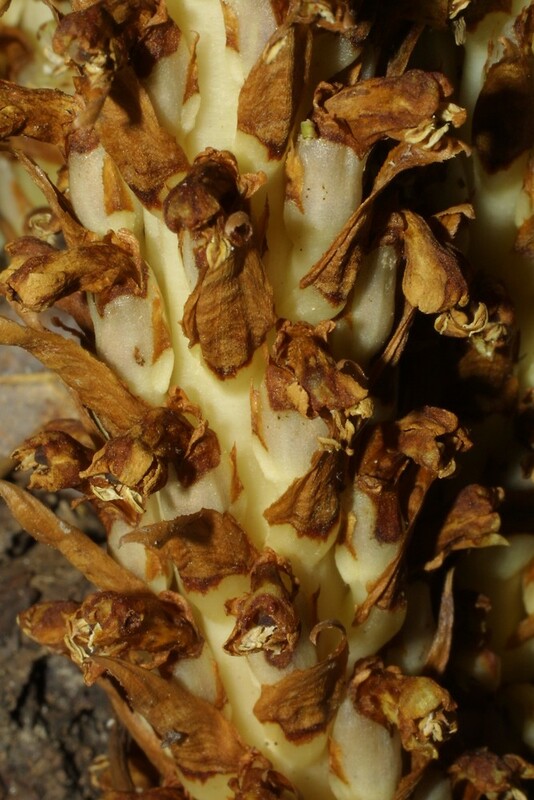 f.
American squaw-root is a parasitic plant that derives its nutrients solely from the roots of oaks (Quercus), by connecting to them with specialized roots called haustoria. 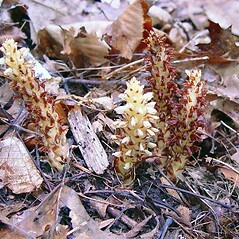 American squaw-root only grows in the presence of oaks and does none of its own photosynthesis. 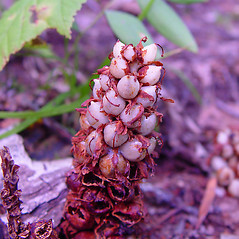 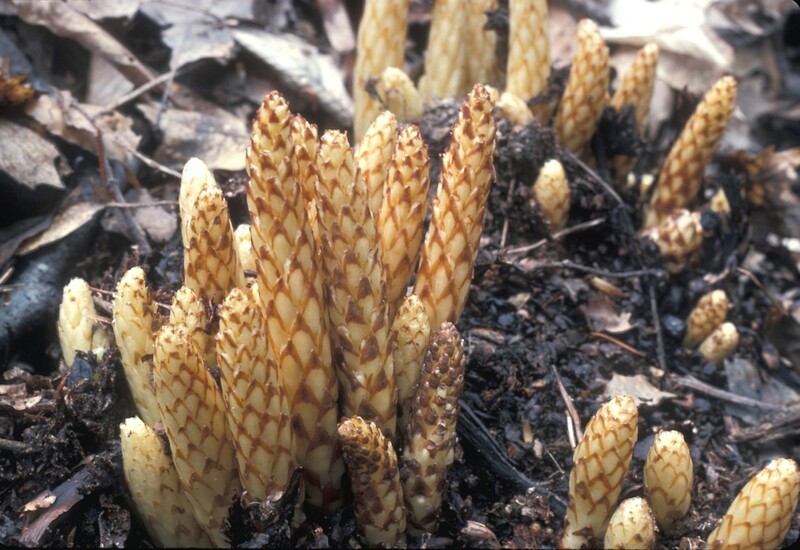 In late spring the strange cone-shaped inflorescence is pale cream colored, later turning brown. 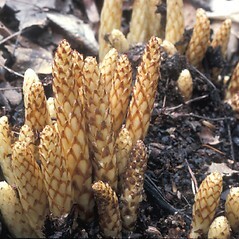 It may persist all winter, appearing shrivelled and black by spring. It is eaten by deer and bears that serve as effective dispersers of the seeds. 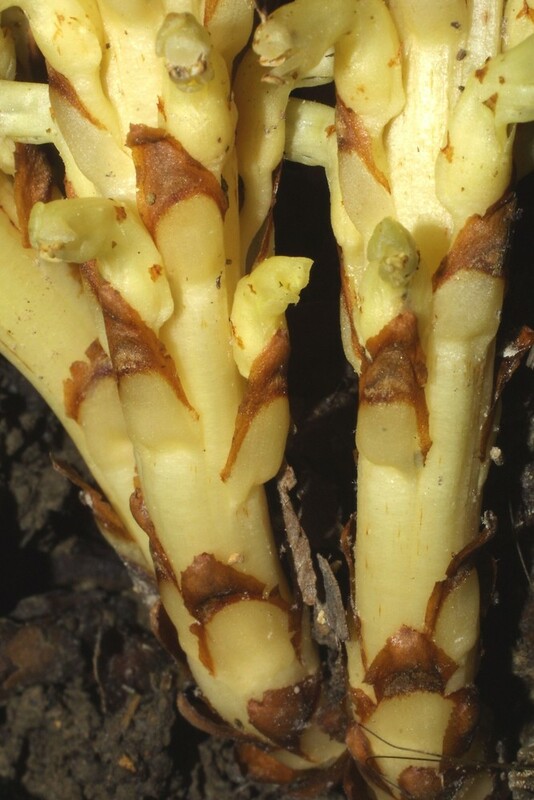 American squaw-root. 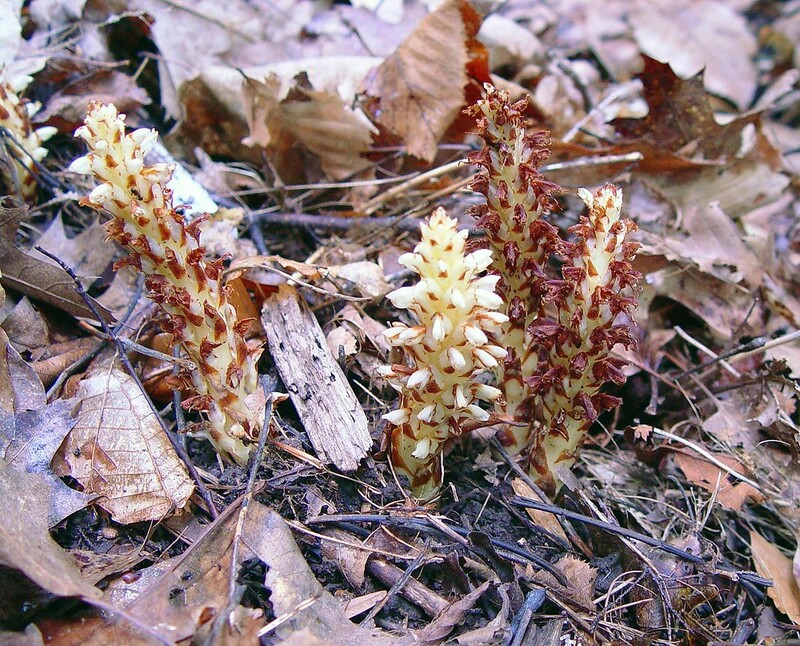 Orobanche americana L. • CT, MA, ME, NH, RI, VT. Deciduous forests. 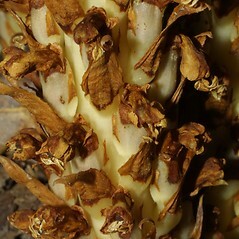 This plant is parasitic on several different species of the genus Quercus.